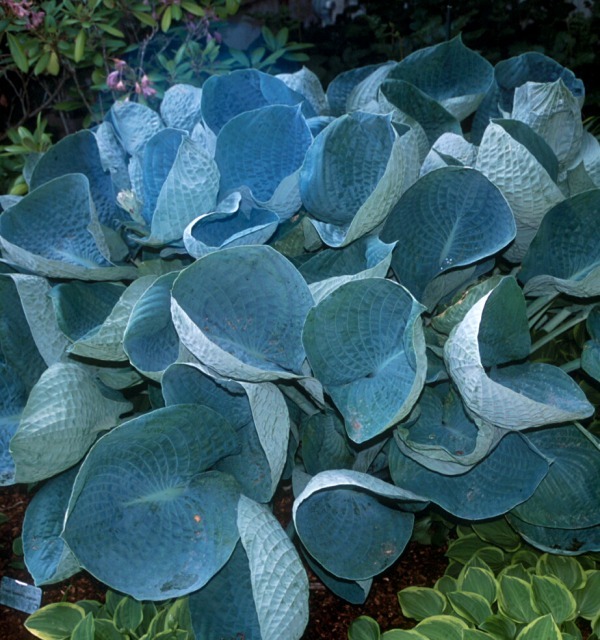 'Abiqua Drinking Gourd' has been selected as the hosta of the year for 2014. This lovely blue-green hosta sets the standard for cupped leaf hostas, a characteristic that is enhanced by the large, rounded, and seersuckered leaves with very heavy substance. The leaves are so cupped they actually catch and hold rainwater. This hosta is best grown in partial to full shade where it will maintain its cool blue green tones all summer. This is a spectacular hosta deserving of a place in every shady border.